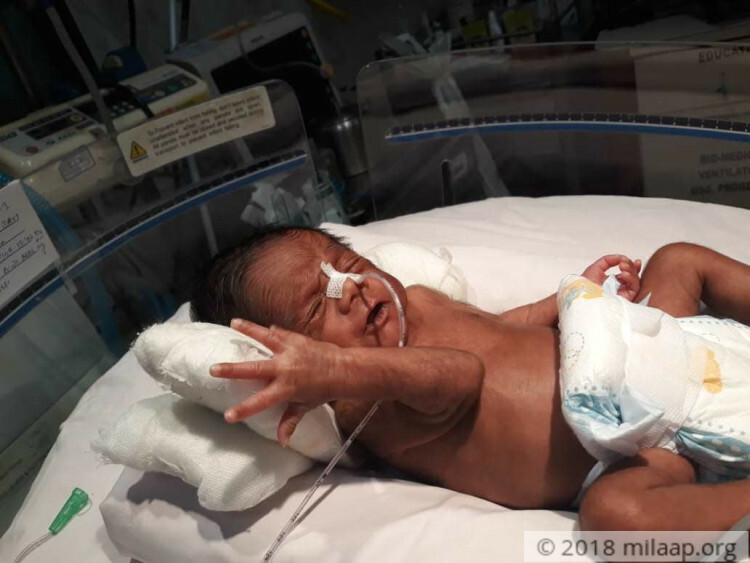 These twins were separated from their mother seconds after birth. 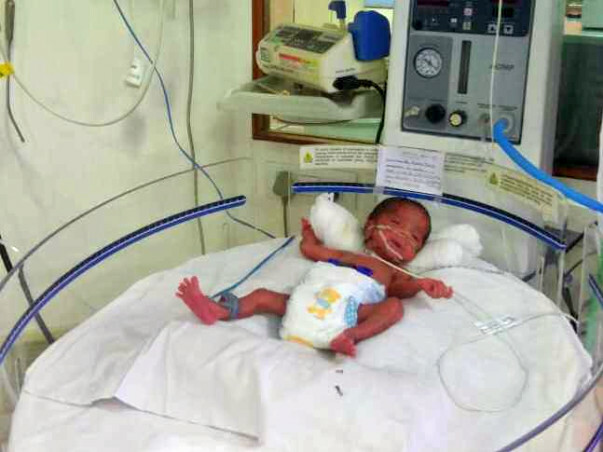 They were born premature, extremely underweight and struggling to breathe on their own. Ruma Devi longs to carry her babies but without money the only thing she and her husband can do now is wait next to them, praying for them to stay alive. 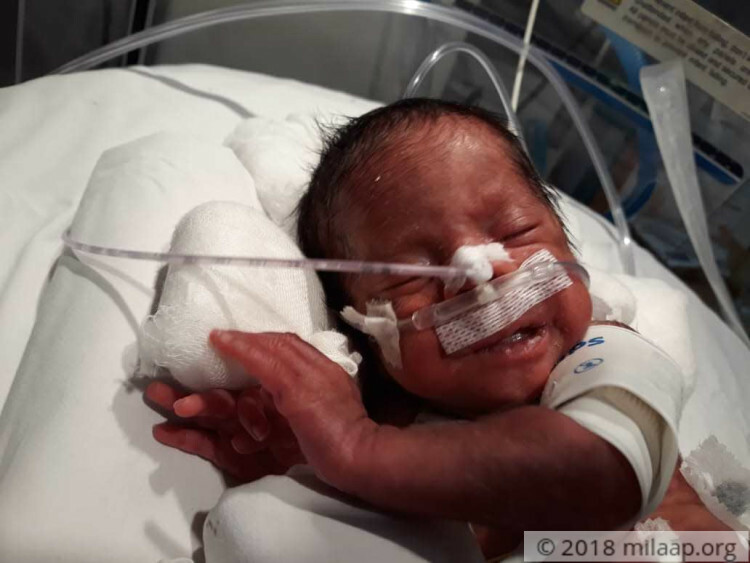 Soon after my unexpected delivery by C-section, the first news I got was that my babies were alive. I was praying for their survival. But soon after, my husband told me that the twins are very critical and will need to spend a lot of days in the ICU. He was worried about money for treatment because we are lower-middle class people. So I just told him one thing straight – 'I will give up anything, even food…you just try and arrange money to save our angels'.”-Ruma Devi. 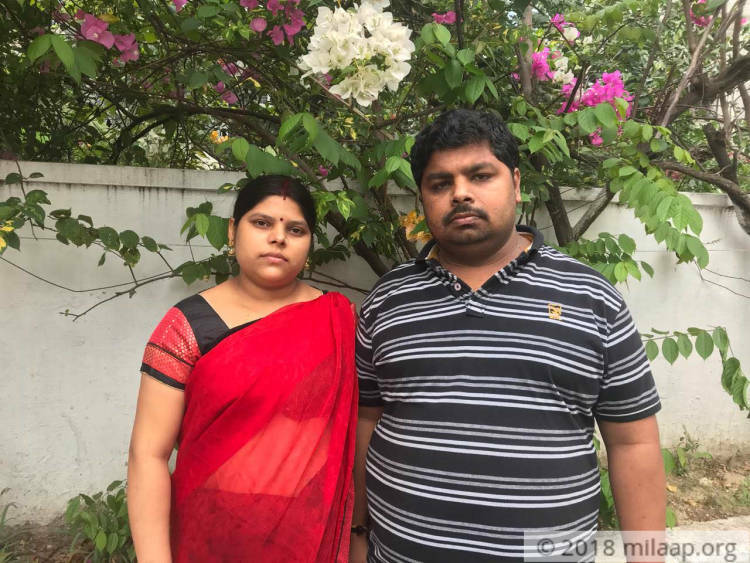 Ruma Devi and her husband, Amit, live in Bihar but had been seeing a gynecologist in Kolkata because she was diagnosed with gestational diabetes in her fourth month. Amit was not happy with the hospitals in their town and borrowed money to make sure that Ruma got the best treatment. “We did not have a lot of savings but my husband told me that he will borrow from friends. He just wanted me and our babies to be fine. We had rented a cheap room near a Kolkata slum for Rs 400 a day. Even that was more than what we could afford. But unfortunately, while we were in Kolkata, my waters broke. The doctors told us that there was no time to waste because infection can spread, which could be fatal for both me and the babies. I had to be rushed to a good hospital in Kolkata.”-Ruma Devi. 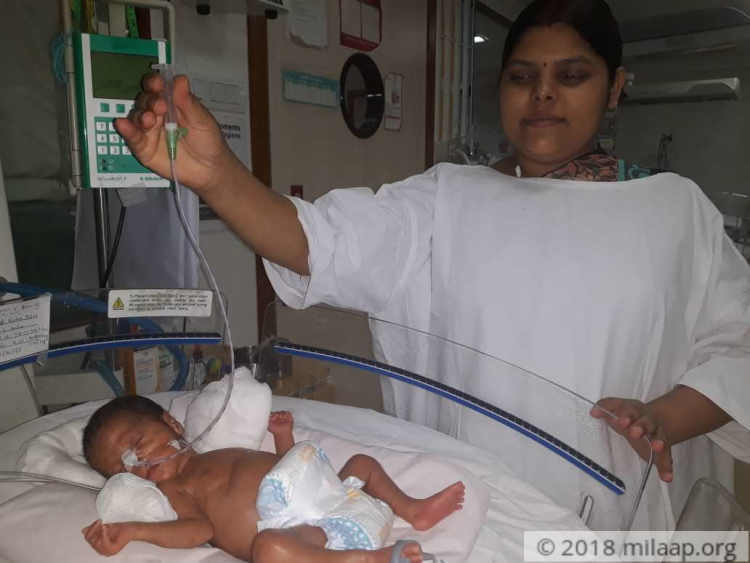 Ruma Devi gave birth to a baby girl and boy, both of whom weighed less than 1 kg. They were not born prepared to survive outside their mother’s womb. They still need time to breathe on their own as their lungs are immature. “I was so happy that both my children made it out alive. But they need at least 20 days more in the ICU to survive. My husband had already exhausted all his money in discharging me. We even requested the hospital to discharge me early because we couldn’t afford it. We desperately want to save our babies, but we don’t know how. "-Ruma Devi. Amit used to work in a small pharmacy in Bihar before he was fired for not going to work regularly. He had no choice but to stay with his wife and children when they needed him the most, despite the fact that his pockets were empty. Amit used to earn around Rs 8,000 per month when he had a job, but he has lost it now. “We are now living at the mercy of a friend’s friend in Kolkata. He has given us a room to stay. We used to pay him Rs 70 per day as rent, but seeing our pathetic situation, he told us to stay free of cost.”-Amit. “If people give us some food, we eat. The doctors tell me that I need to eat well or my health will suffer. My husband does not have a penny left. But now, I am more worried about my babies than anything else. I am ready to go hungry for the sake of my kids. But I don’t think that will be enough to save them.”-Ruma Devi. “My friends and relatives have helped as much as they could – I pooled Rs 4 lakhs somehow and that is how I was able to get my wife discharged. 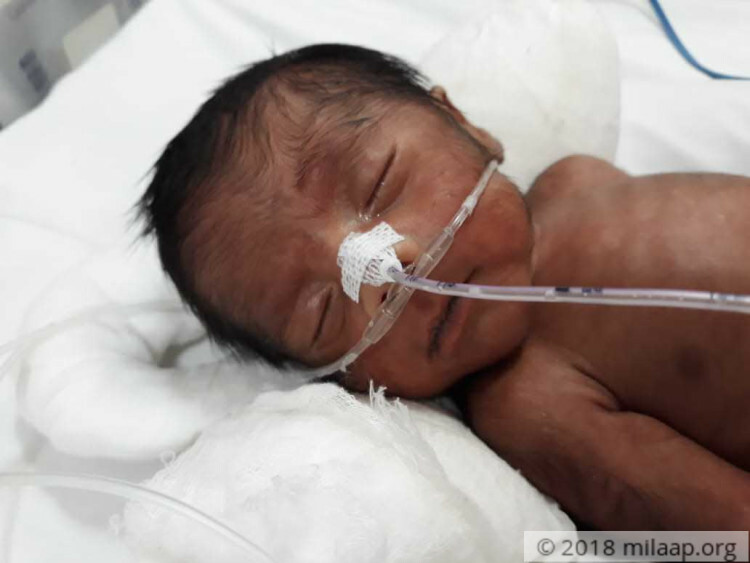 But my babies still need prolonged ICU care to survive – they will not make it otherwise. I need Rs 10 lakhs for it, but I don’t even have money to buy food, how will I afford it?”-Amit. Amit and Ruma are in a very bad state – both mentally and financially. Amit cannot even afford to go back to Bihar and ask around for help. The young mother stays hungry to save her babies. They will not survive without treatment. 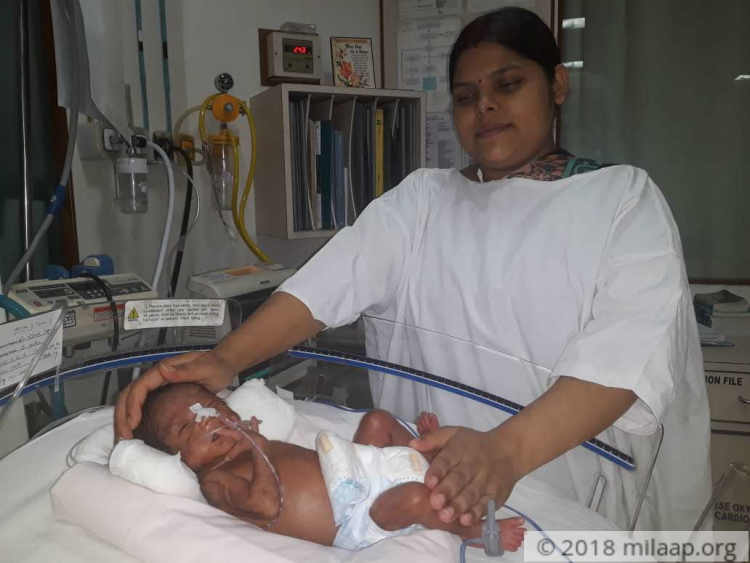 With our help Amit and Ruma can save their babies. Your small contribution can make sure that Ruma's twin babies are saved! 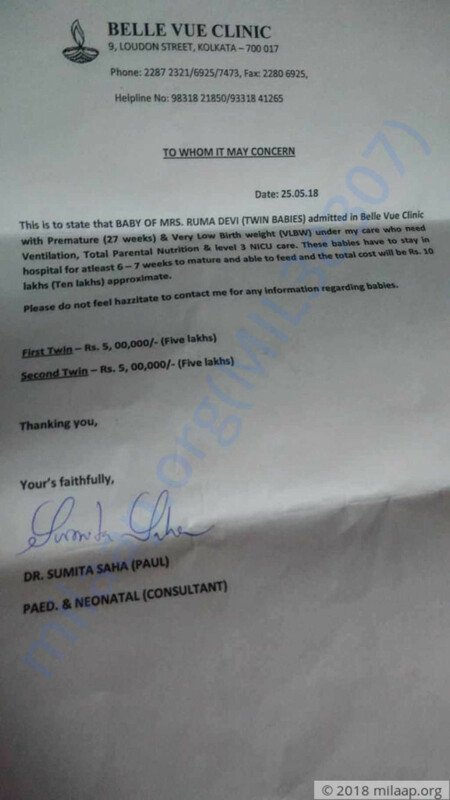 This couldn't have been possible without the support of you all, me and my wife sincerely thank each one of you for the love and support which you have shown towards our babies. May God bless you all! Thank you for the support you have shown so far. Would like to inform you that both babies are doing well. Baby boy is 2 kg and baby girl is 1.9 kg and ready to go home with their excited parents. We could not have done this without your support. Thanks once again.